Fantastic layout on this house! 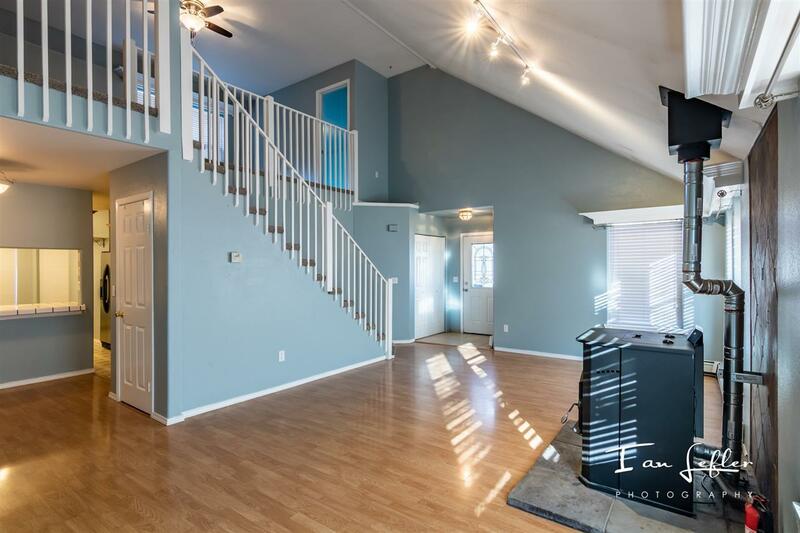 Master on main level with open floor plan! 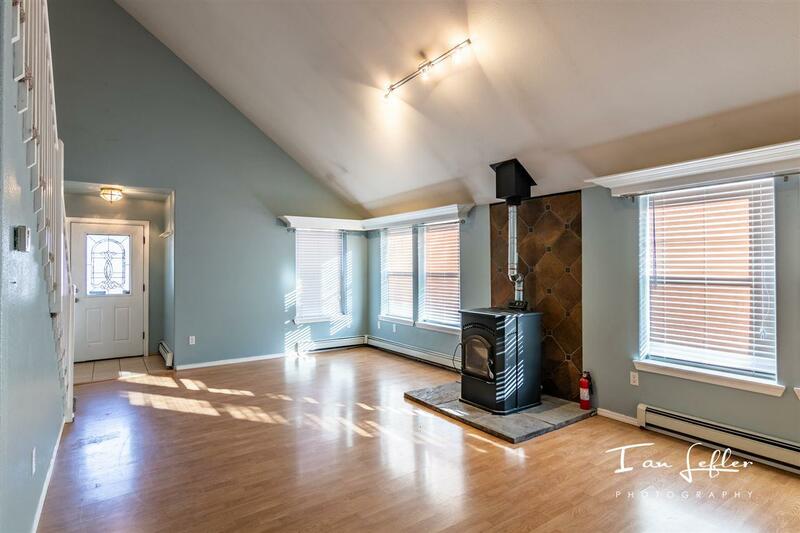 Main level has expansive living room with 18 to 20 foot ceilings, and a pellet stove. The master bedroom and master bathroom is on this level with with a nice sized closet as well. Master bedroom has french doors to patio area. Master bathroom has all new tile floors and a tile stand up shower, along with a jetted tub. 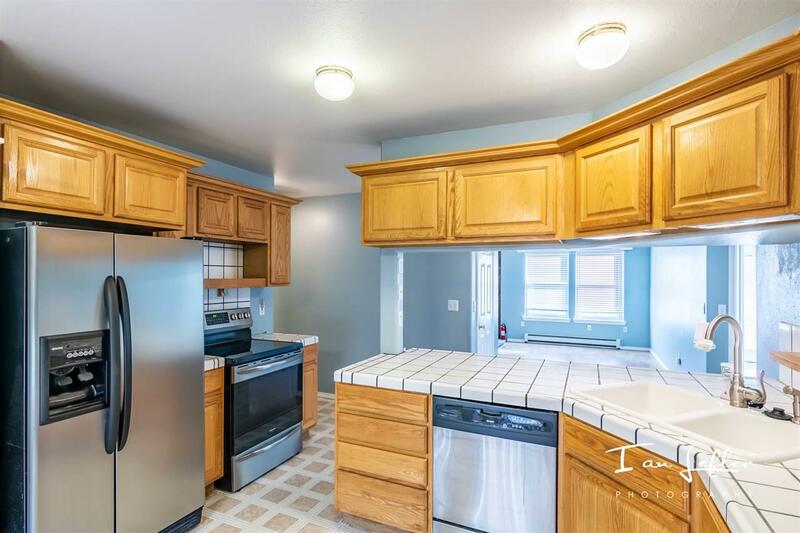 Also on this level is a nice open kitchen and dining area, along with a half bathroom, and laundry area. Main level leads out to the nicely appointed 3 car garage! Upstairs you will find another living room that could be used as a rec/family/game/movie room, or even make part of it an office. There is an oak built in book shelf as well. You will also find a full bathroom on this level and the 2 spare bedrooms. One of them is good sized and the other is very large! Washer and dryer are included with this sale. Home has a Buderus boiler which is less than 5 years old. Huge/tall crawlspace as well for all that extra storage. 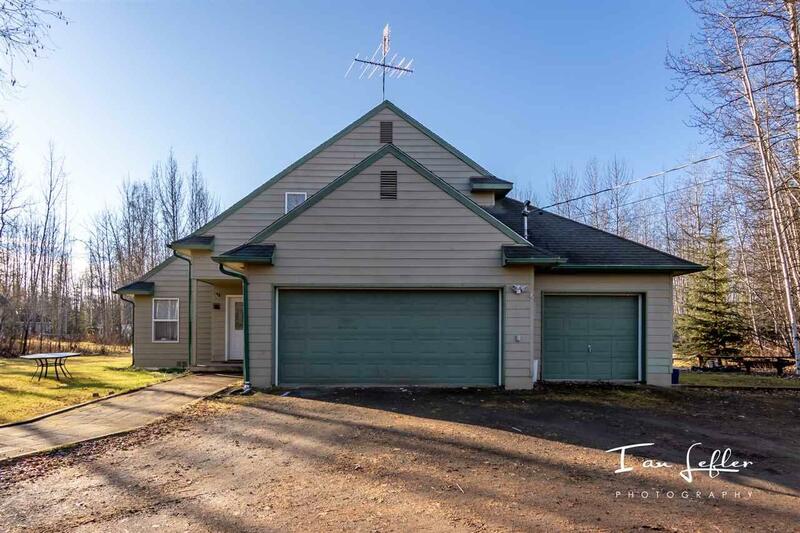 Home sits on a 1 acre lot, and there is a complete fenced area for dogs, a huge fire pit surrounded by gravel and a nice bench seating area. 2nd driveway on this lot as well that leads to the back yard and woodshed area.